The many shipping avenues of Leach Logistics. In terms of shipping, whether it's incoming or outgoing, our capabilities are endless. 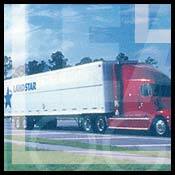 As Landstar agents, we offer truck, rail, container and air services that are the nation's best. Our fleet includes dry vans, flatbeds, refrigerator units, stepdeck trailers, and oversized trailers. We can also calculate truckload rates in less than an hour as well as orchestrate freight consolidations that result in substantial discounts. Our facility includes seven railside docks. And Reno Tahoe International Airport is just ten minutes away. In short, we're willing and able to ship your items in the most timely and sensible fashion available, whether it's across town or around the world.